Jared Unzipped: The Lyrics To Auld Lang Syne. As the last minutes of 2015 tick away, I want to say thank you to all of my readers, both old and new. Many of you have been here since the very beginning. And yet, many more have joined me throughout the past year. Thanks for visiting my little corner of the internet. I hope 2016 is a bright and successful year for you. 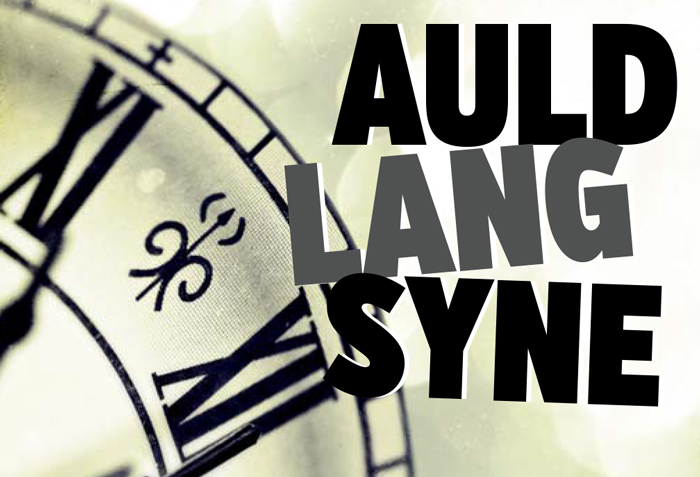 When you go to sing Auld Lang Syne tonight, you'll probably not know the words. Just in case you'd like to sing them correctly, here are the lyrics. I know the words look a little odd. That's because they're composed in the 18th Century Scottish dialect by writer Robert Burns, the national poet of Scotland. Tonight, all of us get to be a little Scottish!